With the common seculation of a Disney Infinity press release coming out early this week, here is what we know so far, and what exciting things are still to be unveiled! 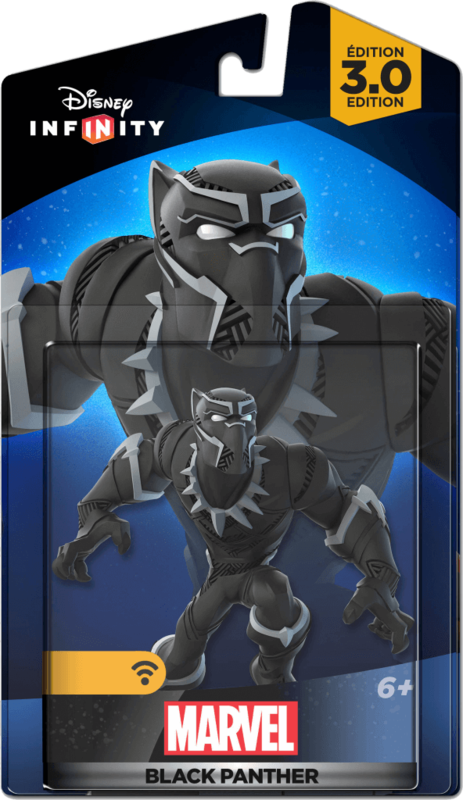 We first saw the Marvel Power Discs via a Disney Infinity marketing e-mail, where they accidently included an image of the Marvel Power Disc Pack, but it was a small look and so obviously very blurry. Thankfully with the new listing, we get to see an up-close and personal look at the power discs. 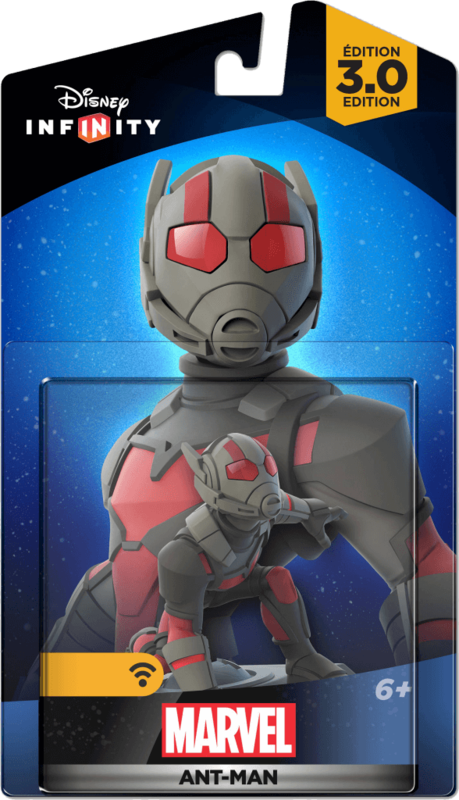 The Tesseract and Nova Corps disc look to be event discs, but obviously no description is available yet. Darkhawk looks to be a team up disc. Ghost-Rider’s Bike obviously will be a new Marvel based vehicle to use, one that many fans have been requesting! 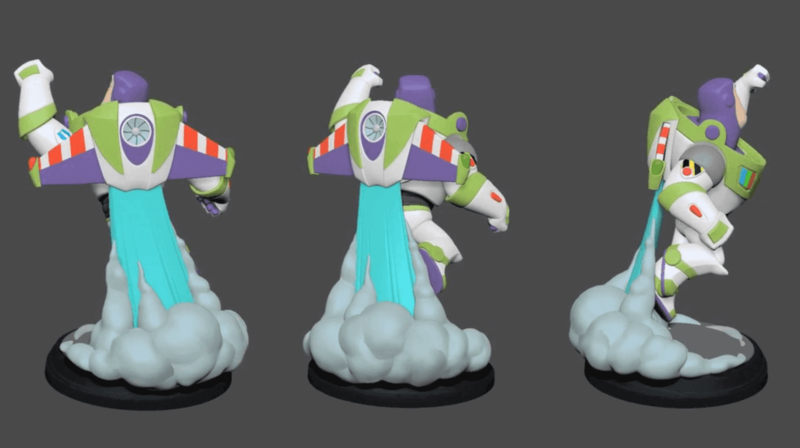 We also got our first look at four figures that will be coming for Disney Infinity 3.0. 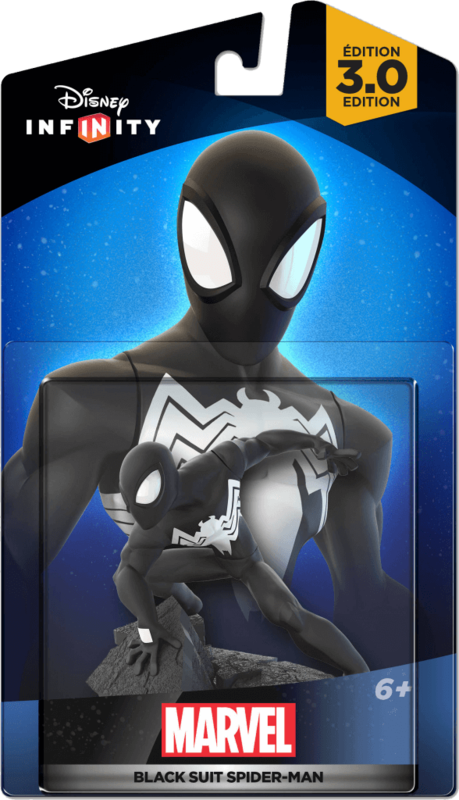 We knew that Black Suit Spider-Man was going to be released individually outside the Disney Infinity Vita Starter Pack from 2.0, but this is the first time seeing the packaging. Vision was leaked officially via the CNET Behind-The-Scenes article from several months ago. 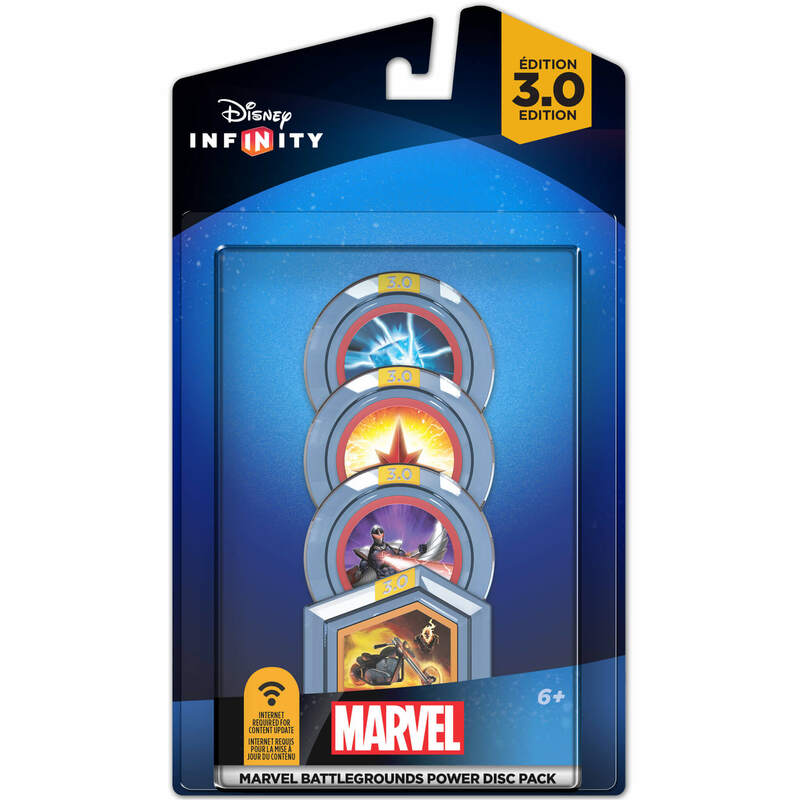 One of the more interesting items to show up is a Triple Pack, which we haven’t seen a new triple pack released since Disney Infinity 1.0. 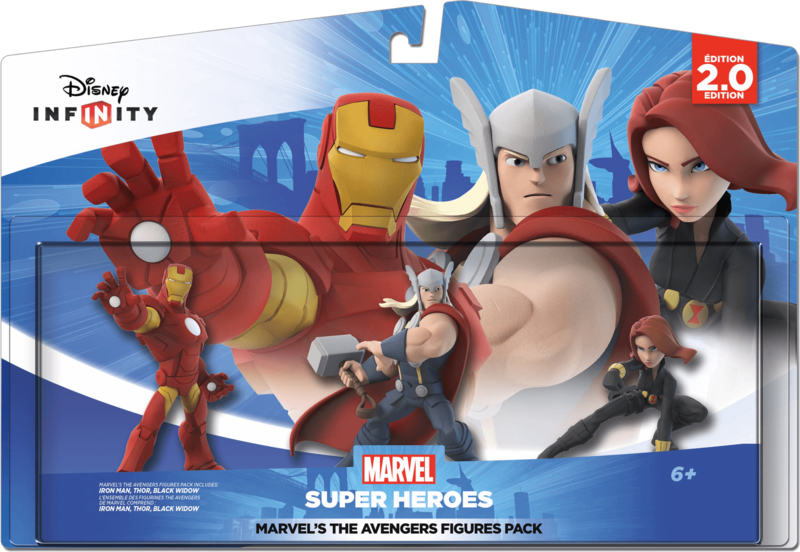 This triple pack features Black Widow, Iron Man, and Thor. 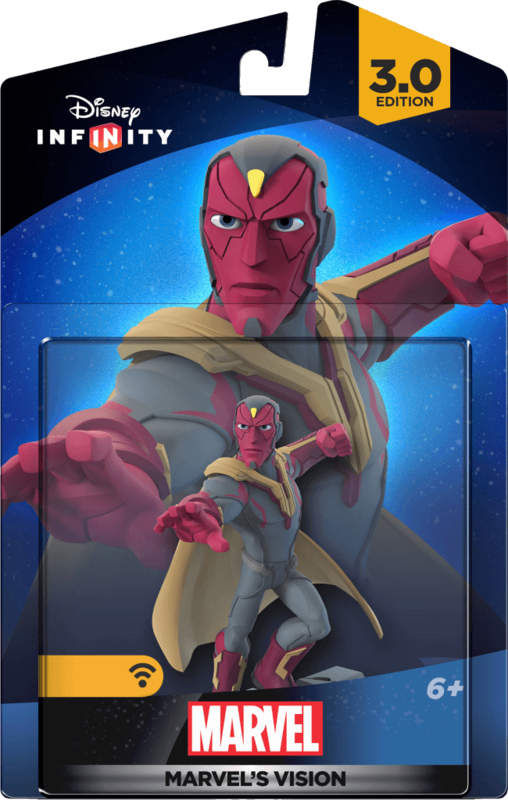 The three figures that were included in the Disney Infinity 2.0 Starter Pack. They also released The Avengers Play Set separately, which includes Iron Man and Black Widow. Thor was released in individual packaging. So why release the Triple Pack? We’ll have to hear the official response, but it seems like they just want to make sure the Disney Infinity community has access to all the figures. The Avengers Play Set is one of the harder to find Play Sets, since stores didn’t really feel the need to stock it. 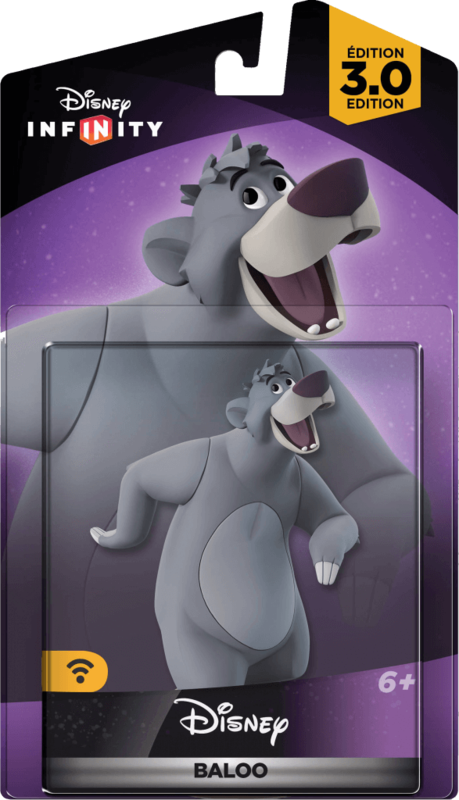 Disney Infinity previously said that there would be a special figure released in the first quarter, and that figure is Baloo! Obviously the thing that fans will be most excited about is the fact that he is based on the classic animated movie compared to the new live-action movie. Who doesn’t love classic Baloo? What does the Wifi Icon Mean? You may have noticed the wifi icon on many of the packages. That package means that an internet connection is needed to download the update/patch. 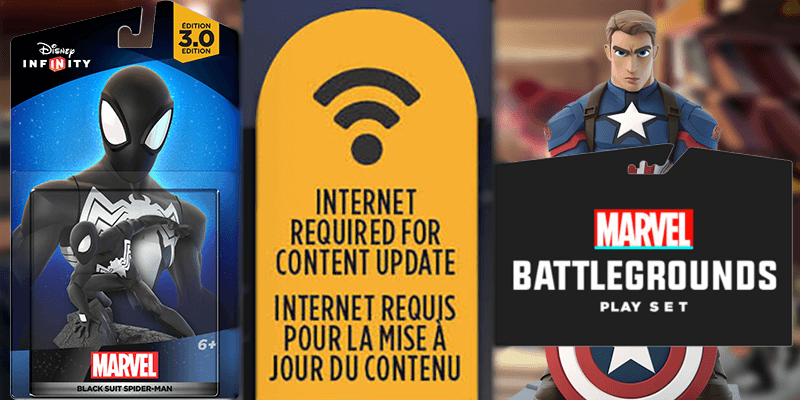 These figures, power discs, and even the Marvel Battlegrounds Play Set are NOT on the disc as they have been working on them after the initial shipment of the game. So obviously in order to bring the content to the players, an update is required. To be clear… YOU ARE NOT REQUIRED TO BE CONNECTED AT ALL TIMES TO PLAY THESE FIGURES. Just connect your system to get the latest update at the time of release, and you will be good to go. What else will the announcement contain? Screenshots, gameplay, who will be included in the Play Set, and more. There are still a lot to be detailed regarding these releases. Obviously the pictures are great to see, but at the end what they look like / play as in the game, that is what matters the most, right? Plus… who is the second figure in the Marvel Battlegrounds Play Set?! We know Captain America: The First Avengers is one of the figures. Disney has been very upfront how they want to make sure there are strong female characters in this game. Up to this point, we only have TWO females in the Marvel Line-Up. The setup is there for Scarlett Witch. If Disney doesn’t include her in the Play Set, it will not be a pretty reaction. Hopefully we can get gameplay videos in addition to the “screenshots” (read with air quotes) that Disney releases. Also… I wouldn’t be shocked if the Kylo Ren Light FX gets announced at the same time.